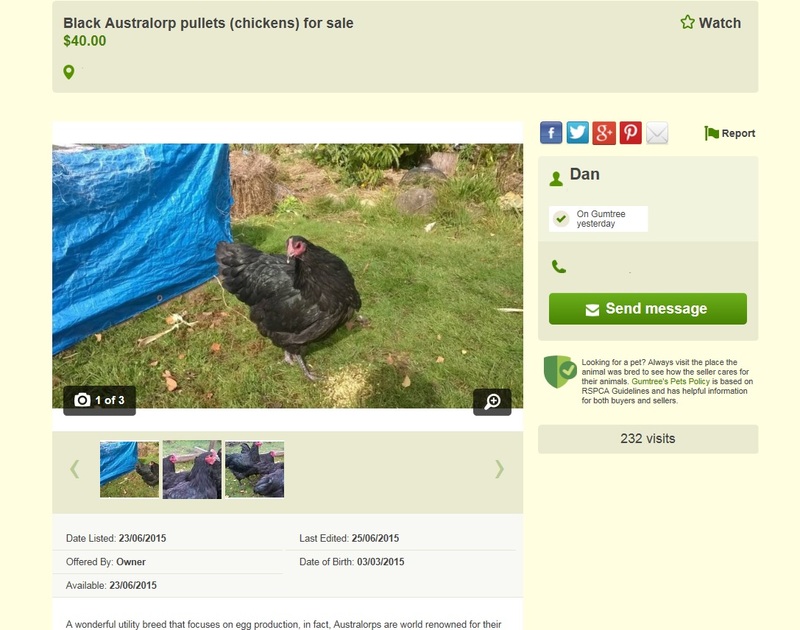 I have sold one of my chickens, and I am about to finalise the sale of four more. My original attempt at selling them for $50 each didn’t really pan out. I placed the advertisement online for 2-3 days and only had one enquiry. Someone asked how much I was asking for each chicken (despite my ad showing that they were $50… perhaps he thought it was $50 for the lot). I realised that the demand I expected (and experienced last time) wasn’t there, so I dropped the price to $40 per bird. Hours after I lowered the price I began to get enquiries. I took some time on the weekend to reduce the number of Roosters in my flock. I only need the one, so I decided that the other two were the right size to eat. I had to take a while examining them, as I am trying to reinforce the characteristics of the Rooster. So, on Saturday morning, we said farewell to the two roosters and I turned them into Sunday’s dinner (which was Roast Chicken with vegetables). This time, my daughter helped me with the slaughtering process. She asked if she could come and assist, and I decided that if she felt that she was old enough to be a part of it, I would give her a chance. I explained to her what I would be doing, and that she should leave if any time during the process she felt that she didn’t want to see it. With her agreement, I began the process. She was very curious and asked lots of questions about what I was doing, and she wanted to know when the animal had finally died. 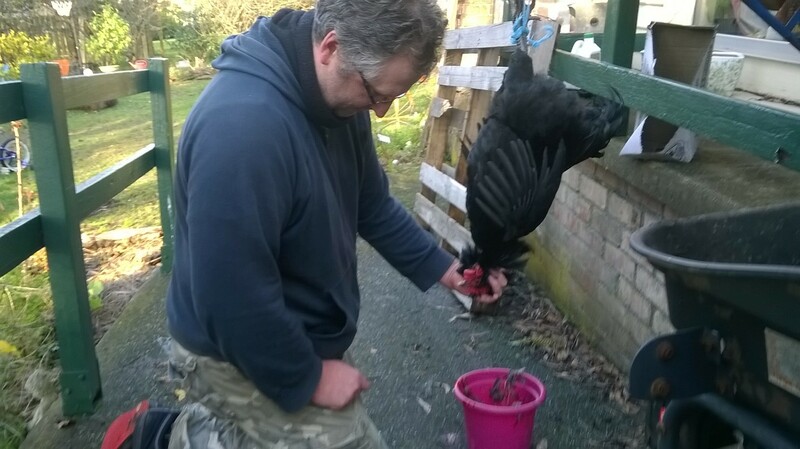 She took some video and pictures for me, helped to remove the feathers and even held the bag for me to put in the offal. I am a very proud father. Photo taken by my daughter. I am working on the chicken. The two hens that I have kept from my initial batch have begun to lay eggs. It is so exciting that they are now producing (especially considering that we are in Winter). When I found the first egg I had to show Kitty as she didn’t believe it was really from our birds… she thought I was trying to play a joke on her. I am saving these eggs so that we can have a big family “fry up” for breakfast next weekend. 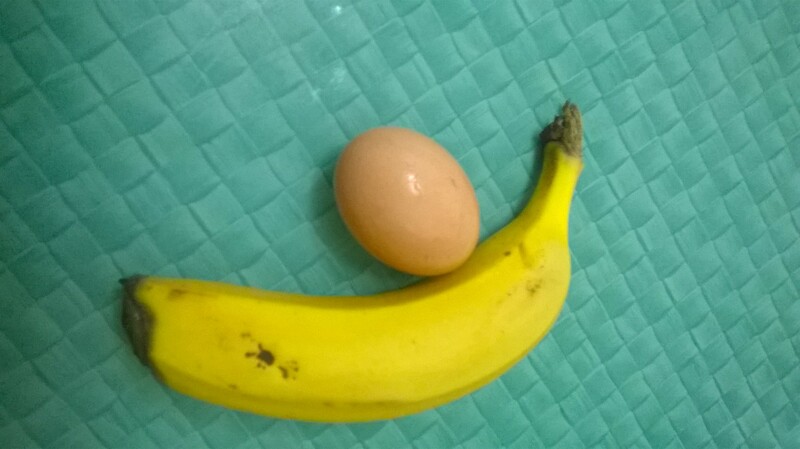 The eggs are a little small, yet who am I to complain? I am very impressed that the girls have started to lay in the winter season.